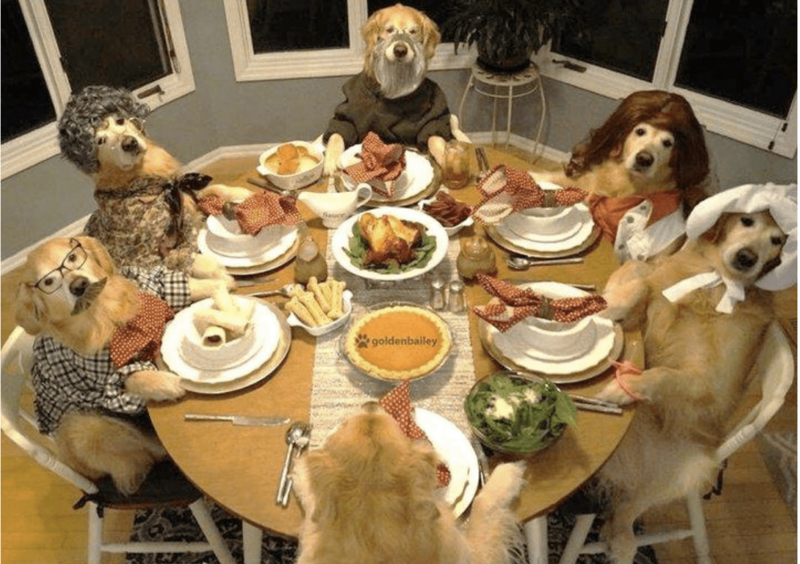 Thanksgiving is many peoples’ favorite holiday because it’s all about family and food. With increased demands on our time, it becomes more and more important to plan in a way that relieves some of the pressure and prevents us from falling behind. The good news: I have a plan for you that works. I remember a conversation Mama and I had about getting ready for Thanksgiving and what a lot of work it was. She said, “it’s not that hard to do if you have tons of time and good help”. Many of us don’t have the good help but you do have the time, if you ration it out well. I suggest being prepared and having a list in the countdown form. I have to do my stuff on the weekends, and I like to take small bites as 3-hour increments. I know that I work better in the morning, so I do the fun weekend stuff in the afternoon. Look outside your house and see if your yard needs any work. Look at your silver and start polishing what you will use this holiday. Wrap it up in cling wrap or plastic bags when you’re through, and it will stay looking great. I recommend spending 1.5 hours on this task. If you have 100 napkins in your ironing pile, heat up the iron now, dampen a small amount and do an hours’ worth. The tablecloth is too hard to do so send it to the cleaners. Take a half hour and make the menu list. Anything that can be made ahead, get the ingredients and start making what you can. Anyone you can get to fix some food for you? Clean the kitchen as you go. This really works! Continue the silver polishing this weekend for 1.5 hours, if you have that much to do. That’s it-that’s all you’re going to do before Thanksgiving. Start cleaning the rooms you will use for Thanksgiving. Are you having spend the night guests? Clean up those rooms first, give them some closet room (Close the door when you finish) -then move into the main rooms. Try to remove any big piles by throwing things away. Stack neatly the things that need to stay for awhile longer. Toss all junk mail and old magazines. Dust the ceiling fans, pictures and tall pieces, and clean the front exterior entrance. Add a pretty plant in the entrance or a pumpkin on the front steps. Make sure your light bulbs are working. Now you dust and vacuum the main rooms, get some flowers for the table and finish cooking what can be done ahead. Think about the serving pieces you’ll need and wash them so they’re ready. On the 21st look over the whole entertaining area and see if you’ve missed anything. Breathe a sigh of relief that most of your prep is done! Enjoy your people and your dinner. THANKSGIVING IS ON THE 22ND!!!!!!!! I love this and really love your photo!!!! Adorable, I miss you, neighbor!!! Ps…I’m forwarding this to Eleanor! I second Beth’s comments. The photo gave me a good laugh. Thanks for the sage advice and strategy.